Chimney cleaning: Our CSIA and NFI certified cleaning procedures remove buildup and residue from your chimney to clear the flue, improve the draft and eliminate flammable deposits that are major risks for chimney fires. We promise an efficient, mess-free service, with full cleanup afterward. Safety inspections: Safety inspections are a crucial annual necessity, and it’s important to get it done professionally. As the only local company providing inspections at all three levels of the NFPA standards, we inspect accessible and inaccessible areas to verify your chimney has proper clearance. 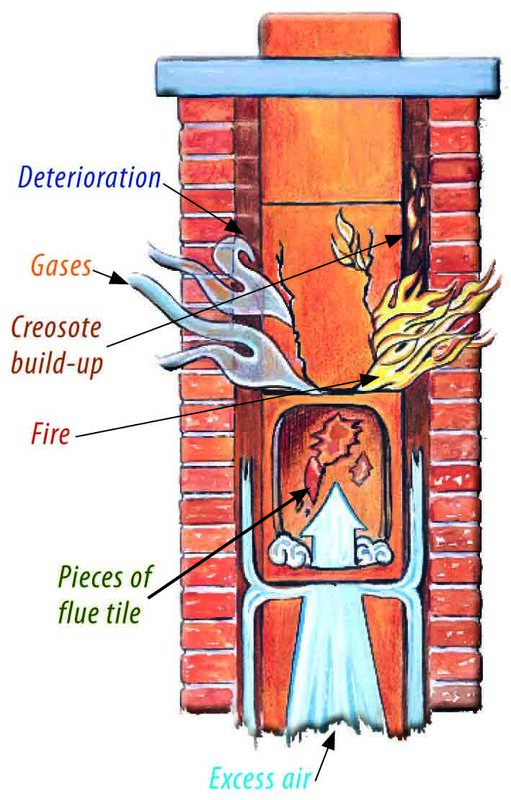 Chimney diagnostics: If your fireplace is smoking, it’s a symptom of structural damage or a water leak in your chimney. 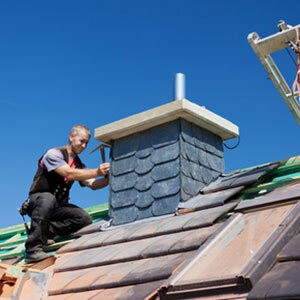 We diagnose whatever problem is interfering with your chimney performance and recommend the solution. Chimney cap installation: Our professional grade chimney caps, available in stainless steel or copper, control sparks and keep rain, leaves, animals and debris from entering and clogging your chimney. We’re pleased to offer free cap installation with your cap purchase within our local service area. Chimney damper installation: Our top-mount fireplace dampers keep heat from escaping through your chimney when the fireplace is not in use, dramatically increasing your energy efficiency. 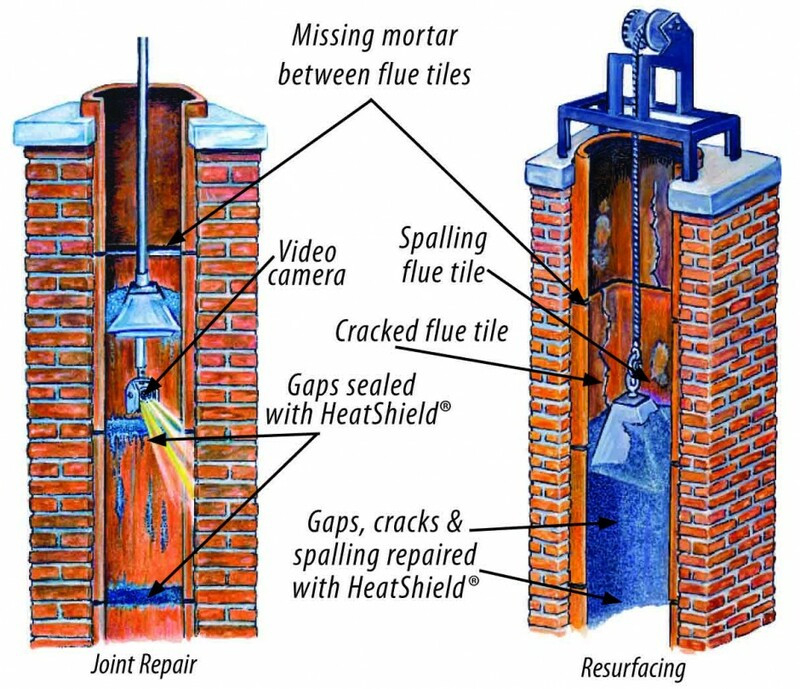 Lining and relining: We line new chimneys and reline old ones with stainless steel, flexible, corrugated, nonporous liner pipes, engineered to be impervious to creosote or soot absorption and water damage, and to tolerate temperatures up to 2100 degrees, at which point the previously standard clay tiles liners would disintegrate. 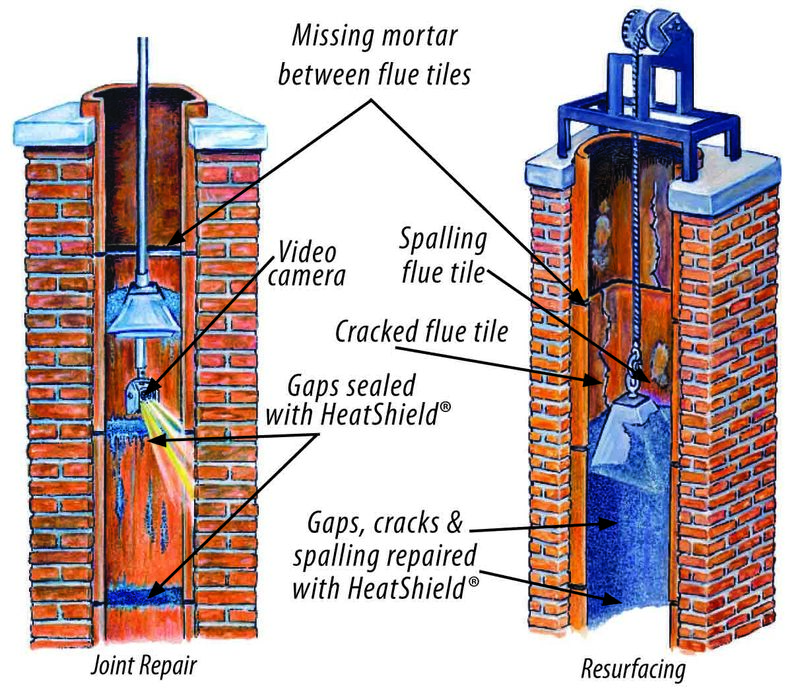 HeatShield technology: We are proud to use HeatShield repair and resurfacing system technology, a state of the art sealant material formulated to eliminate dangerous gaps and cracks in your chimney and restore its safety and integrity. For reliable, mess-free and careful chimney sweeping in Columbia, SC, call Clean Sweep Chimney Sweep.